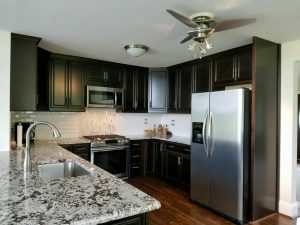 ​Do you want a new open concept kitchen that will make your home flow better so your family is more connected? Maybe you’ve been daydreaming of a new kitchen for a long time and now you have the resources to finally do it right. Whatever the reason, Providence Plumbing and General Contractors can make the transition a smooth one. We will take your kitchen from stale to stylish in no time at all. We have the expertise and experience to fulfill basic transformations all the way to dramatic and not break the bank. Our design consultants can simplify your remodel process by walking you through your material selection and design plan if you desire. We are a fully licensed, insured and bonded plumbing and general contractor. We pride ourselves in integrity, punctuality, respect and quality workmanship in all of our kitchen, bathroom and home remodels. We treat each client like our own family. We go that extra mile because when you put your dream in our hands, you deserve the best. ​We understand that everyone has a busy schedule. We always take into consideration what hours work for you, and most of the time we can tailor our working hours to what is convenient for you and your family. We have been designing and remodeling new kitchens since 1985. As Master Plumbers, we have extensive experience in the newest plumbing fixtures, whether it is that newest dishwasher or nifty pot-filler you've always wanted. We are experts in the removal of old cast iron plumbing and installation of newer more cost-effective materials such as PEX. Our Master Craftsmen have the ability to customize your kitchen with custom cabinets or can recommend the top performing stock cabinets. Maybe you've been seeing kitchens with reclaimed wood or re-purposed cabinets, and like that idea. Whatever you can dream , we can make it a reality. ​Fabulous kitchens are limited only by your imagination. We employ our extensive knowledge of cabinetmaking and space planning, as you want it to be not only beautiful, but functional for your needs. The choices for cabinetry, fixtures and counter surfaces are limitless. All you need to do is decide on your style and we can take it from there. Selection of colors and finishes are essential to your basic design. Should you want our designers to help you choose your materials, we can do that too. Providence Plumbing and General Contractors are the master kitchen remodeling planners to help you with your kitchen design. Through nearly four decades of experience, we anticipate challenges and plan ahead accordingly. Our craftsmen use great care and really pay attention to detail. Our foremen will ensure the project is being completed in compliance to code, be available for progress updates and to address any concerns you may have. Last, we try to always work with your schedule, not ours. ​Providence Plumbing and General Contractors will obtain all necessary building permits. Once issued, your construction will begin shortly after. During the remodeling process, we understand you may feel that your normal day to day activity in your home may be interrupted . We do our best to maintain a clean and orderly work space to respect your home. Whenever possible we will hook up a temporary sink in order for you to still be able to use your kitchen throughout the process.